In 1994 the Government of the Republic of Slovenia appointed an expert committee for verifying knowledge of Slovene as a second and as a foreign language and issuing corresponding publicly recognised certificates (OJ RS, no. 47/1994). The Examination Centre concerns itself with activities related to the organising and administering of Slovene language exams. The Centre also determines the required standards of competence and rating criteria, while training exam providers. 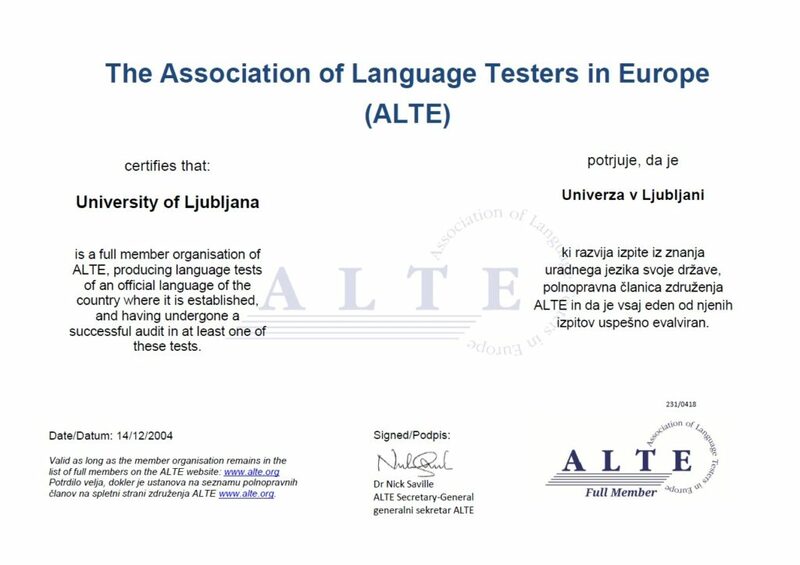 Since 2000 the Examination Centre has been representing the University of Ljubljana in the Association of Language Testers in Europe (ALTE).